The Rebbe Rayatz instituted that the entire Tehillim be recited prior to Shacharis on Shabbos Mevarchim. 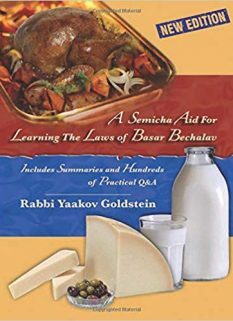 Following the Seder of Shabbos Mevarchim is extremely pertinent to the public, and is a great and lofty Mitzvah which brings an abundance of blessing in physical and spiritual matters. The saying of Tehillim daily after Davening and on Shabbos Mevarchim has future effects on one’s children and grandchildren. With a Minyan: The institution was for the Tehillim to be recited specifically together as a congregation, and not each person individually. For all Chassidim: The above institution applies for all Chassidim, even those that spend their time learning Chassidus and Davening in length. They are nevertheless to say the Tehillim specifically with the congregation. For all Jews: This institution is relevant for all sects of Jewry and not just for Chabad Chassidim. The Rebbe Rayatz placed due effort to bring other groups to recite the Tehillim on Shabbos Mevarchim. The Rebbe once stated “When Moshiach comes he will not accept any excuses, and he will ask how many Jews did you influence to participate in the Tehillim of Shabbos Mevarchim.” This institution is to be publicized to all Jews, in the name of the Rebbe Rayatz. Kaddish: If there is a Chiyuv present [an Avel within 11 months of a parents passing or one who has a Yartzite of a parent that day] then Kaddish is to be recited after each Sefer. 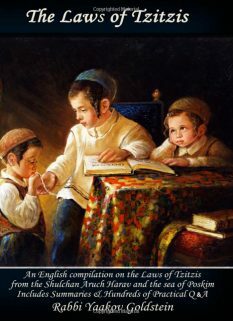 If a Chiyuv is not present, then Kaddish is not to be recited between each Sefer, although at the conclusion of the entire Tehillim, Kaddish is to be recited by one who does not have any parents. Yehi Ratzon: In the event that Kaddish is being recited between each Sefer, the Yehi Ratzon for each Sefer is to be recited prior to each Kaddish. At the very least, it is to be recited by the person saying the Kaddish. Today, the Yehi Ratzon is customarily recited by the entire congregation, however some are accustomed not to say it, unless they are saying Kaddish or are leading the Tehillim. The Rebbe was not accustomed to recite the Yehi Ratzon after each Sefer, but rather only once after the entire Tehillim. In the event that there is no Chiyuv present and Kaddish is not being recited between each Sefer, it is implied that one does not recite the Yehi Ratzon between each Sefer. Verses before and after the Tehillim: It is not customary to recite the verses of Lechu Neranena printed prior the start of the Tehillim, nor the verses printed after the completion of the Tehillim. 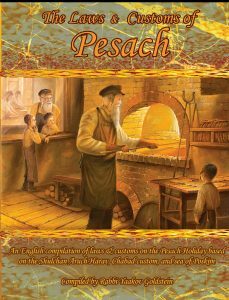 Shabbos Mevarchim Tishrei: The entire book of Tehillim is recited before Shacharis just as on any other Shabbos Mevarchim. Does the recital of Tehillim on Shabbos Mevarchim push off Davening with a Minyan? On Shabbos Mevarchim, is one to finish the recital of Tehillim before Davening even if this will cause him to be unable to Daven with the Minyan? The age old custom of saying the entire Tehillim prior to Davening does not take priority over Davening with a Minyan. This applies likewise to the Tehillim recited prior to Davening on Shabbos Mevarchim, that it certainly does not take priority to Davening with the Minyan. One is thus to be very careful that if he arrives to Shul while they are up to Davening, that he not make the secondary primary and primary secondary [and say Tehillim while they are Davening]. When is one to recite the Tehillim if he is unable to complete it before Shacharis? It may be said after Shacharis, after Mincha, and anytime throughout the day until night time. It is not to be recited on Motzei Shabbos until after midnight. If necessary, it may even be completed on Sunday, or even the next Shabbos. One may also begin saying it on Shabbos morning prior to the start of the Minyan. It is questionable whether it may be said on Friday night before midnight. After the completion of the Tehillim, the congregation is to study for approximately one hour a Chassidic discourse that is understood to all. 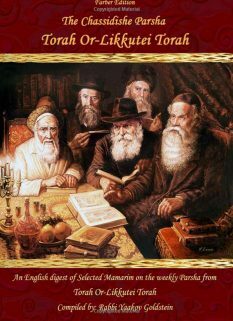 See however Igros Kodesh Rayatz 3:578 that the Rebbe suggested that the Tehillim can be said as a congregation either before Shacharis, or between Mincha and Maariv, in accordance to whatever is best for the Minyan. This institution began with a letter written by the Rebbe Rayatz to the general Anash dated on the 15th of Menachem Av 1935 [printed in Igros Kodesh Rayatz 3:422] The background behind the initiation of this institution was as follows: A Chabad Chassid by the name of Chaim David Lein, a Shochet from the town of Nevel, sent a letter to the Rebbe Rayatz in the summer of 1935, suggesting that all Anash recite the entire Tehillim before Davening every Shabbos. 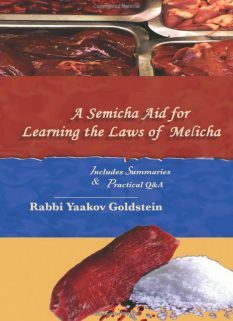 The Rebbe Rayatz replied that it is a good suggestion, although should not be done every Shabbos, but specifically on Shabbos Mevarchim. In a letter written in honor of the 13th of Tamuz, the Rebbe Rayatz wrote “I am very pleased to hear of the public recital of Tehillim on every Shabbos Mevarchim, as suggested to me by my colleague and friend, Chaim Dovid Shuv.” Approximately one month later, the Rebbe Rayatz sent out the official letter to all Anash, publicizing the institution. In a written response from Rabbi Leibal Groner he stated that one does not say the Yehi Ratzon unless he is leading the Tehillim or is saying the Kaddish afterwards. Introduction to Tehillim Ohel Yosef Yitzchak [I have not found this section in the Shlah Hakadosh]; See also Likkutei Yekarim 25 that the Maggid stated one is not to say Tehillim before Davening in a way that will come in the expense of Davening. ; In Sefer Devek Tov this is brought in the name of the Baal Shem Tov. See Hiskashrus 942 footnote 1 an answer of the Rebbe for it to be recited between the Sichos of the Farbrengen. 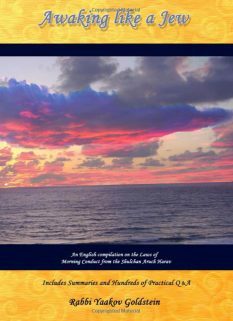 See Kuntres Dinei Uminhagei Rosh Chodesh p. 7 that the Rebbe once said it may be recited “throughout the 24 hours of Shabbos” if one is unable to complete it otherwise. As one is not to say Tehillim at night. [Beir Heiytiv 238:2; Chaim Sheal 24] However some Poskim rule that this law does not apply on Friday night. [Ben Ish Chaiy Pekudei 7; Kaf Hachaim 237:9] On the other hand see Sefer Haminhagim p. 41 [English] that does not list Shabbos and Yom Tov as one of the days that permit Tehillim to be said at night. Vetzaruch Iyun. See previous footnote!